In many towns in eastern Spain, a terrible tradition still persists: the "toros embolados" or "correbous." These are bulls with flaming torches strapped to their horns that are released in the streets during traditional festivals. Seeing the fire so close to their eyes makes the bulls go mad. They try to escape from the horror they are suffering, but they have nowhere to run, experiencing enormous stress for a long time. In addition to the unwarranted cruelty against the animals, these festivals are a great danger for the public. Just recently, a man in the town of Castellón died after being crushed by a enraged bull. Cities like Valencia have already banned the "embolados" bulls since 2016. Now it's the time for the government of the Autonomous Communities of Valencia and Catalonia to act by banning this inhuman tradition in all the Eastern regions of Spain. 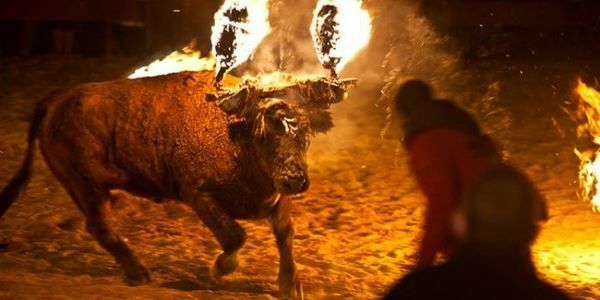 Sign this petition and ask the Governments of Valencia and Catalonia to ban the "toros embolados" and "correbous" during festivals.